A few fellow letterers have asked about the chalk backgrounds I’ve been using for some recent Pinterest posts. Actually those were created using a stock photo of a chalkboard as the base file and while that’s always an option, I thought I’d try creating a convincing chalkboard image myself (sorry iStock) and make it available here on Foolish Fire. The folder includes a gray, blue and green version in .jpg format. I’ll be posting another tutorial soon on how to work with these files to create a reversed chalkboard look out of a sketchbook lettering project. Thanks for this! Your full tutorial was also great; smudging/blurring makes it truly believable. Thanks. Big fun doing it. Really like your site, btw. My pleasure. And thanks for the kind words. James, is it ok if I use this for my business? Thanks for the files and the tutorial, saves me getting out the blackboard paint! James, Very generous of you to share the files and guide. Much appreciated! Awesome! Thanks for sharing – My friend who is a 5th grade teacher says there aren’t any blackboards left in the school! They all use “smart boards” which are computer-integrated dry erase boards. Too bad because they’ll never know the joy of going outside to clean all the dust off of the erasers! Thanks! I think I know how I will use this…but not sure. Nice to know I have it – very authentic. Cool for sharing. “LIKE”!! Thank you for sharing. Love these!! Just what I was searching for! Thanks for sharing!! Love them! Can I use them in my TpT products? Thank you for sharing this. What an awesome image! Have you tried searching for the file on your hard drive? thanks so much! i do advertising for my store. Images without a wash are so hard to find! Thanks so much…just what I was looking for! Found this via Pinterest – thanks a bunch!! Oh for the love of Pinterest and talented peeps like you. Thanks so much for this fun and exciting idea! These are all such cute ideas!! I’m also a Pinterest addict. I statred a link up just for Pinterest inspired projects called You’re invited to come check it out and link up it starts every Thursday and ends the following Wednesday. Awesome! Been seeing a lot of these chalkboard picts on Pinterest – looking forward to experimenting! Love these. I also love people like you who share with others less talented! Thank you. I’m working on it. So far having problems with file size and getting dust all over hard drives. Thank you for being kind enough to share. I am very grateful. Thanks so much! I’m using it as a background for an invitation for my sister’s baby shower brunch. I’m just a regular person – no design experience – so this really helps! Happy to be of help! Good luck with your project. Is it possible for you to remake this is 16×20 size? When I enlarged it was very blurry and wouldn’t work as a chalkboard background for me. I’m not so savvy with making my own! Love this so much! Thanks! Found these through Pinterest. So great, love them! Thank you for sharing these. This is the best! I’m going to try it out instead of hand drawing on a real chalkboard to save time designing some puppy announcements for a friend. Just wanted to say thank you for providing these backgrounds! I’m using them to follow your chalkboard-lettering tutorial, with the intention of making labels for my etsy store’s products. I was not sure whether this fell under your realm of acceptable use (and I also wanted to thank you! ), so I’m leaving this comment. I hope you’ll email me if you’d prefer I didn’t use these bases in a commercial sense! IS it ok to use these backgrounds in a small hand made commercial sense.. ? This old mom is learning new tricks…thank you for sharing your expertise, so that others, like myself, may learn from you . I am so very grateful. 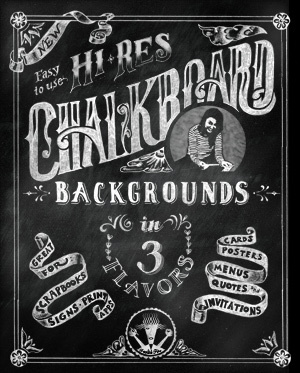 What is the answer about using your fonts chalkboards commercially? thanks so much! i found you thru richmombusiness.com! Found these through Pinterest, thanks for making them! Hello! Great big thanks for this. I found you through Pinterest and am using these to make a graduation gift. Thanks for sharing!! Can these be used for TpT products? Hi! I was wondering if your free chalkboard backgrounds can be used in commercial products? Thanks very much! Looking forward to using these! 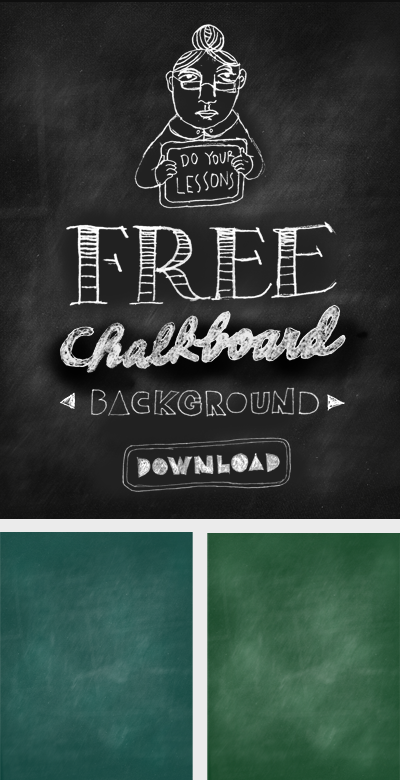 It’s been 24 hours and I haven’t received your Hi Res chalkboard backgrounds, despite purchasing them. Are they no longer available? Just wanted to follow up and say thanks for responding to me, the link you e-mailed worked fine. 🙂 Thanks again! The same policy applies to both the low and high res backgrounds—they’re okay to use for commercial applications. Have a ball. And thanks for asking. Thank you for sharing, this is so sweet! Thank you so much for sharing!!! It’s great! Thank you! it s perfect for what I needed. Thank you, so much!!! This is very useful! Hi. thank you so much for your shared pattern. love itt! This is what I am looking for. I use such background mainly for my blog post and making online presentation. Great work! May I use this as a background image for a client project? It’s a non-profit organization.